Your back-office payroll function relies on the use of traditional Bacs services, manual CSV files and reconciliation, which can be time consuming, expensive and prone to error and security breaches. You need a partner that will handle the payments on your behalf and automate the process – improving security, increasing your margins and providing a better level of service to your clients. The manual processing of batch files is time consuming, costly and prone to error. Our solution eliminates unnecessary administrative overheads by integrating directly with your systems and automating your payments processes – replacing the need for batch files, manual bank access and manual reconciliation. Your clients currently have to request a 'service user number' from their bank for you to process payments on their behalf. This is a manual and time-consuming process. We bypass this by quickly issuing you with an account for each of your clients so you can scale. We can even ensure that your client's name appears on the statement of the beneficiary. Waiting for payments to clear and errors to be revealed can mean your week's workload is front and end loaded. With our solution, you no longer need to wait three days for a payment to clear in order to attend to errors. Streamline your workload with real-time payments and notifications. If you make an error, fix it within minutes. Automate your back-office payroll function and replace the need for batch files, manual bank access and reconciliation. Securely pay temporary workers directly from your client's account, without directly handling the data or funds. Streamline your team's workload across the week with instant payments. Improve the accuracy of your payments and reduce the risk of manual error, with separate account numbers for each of your clients. 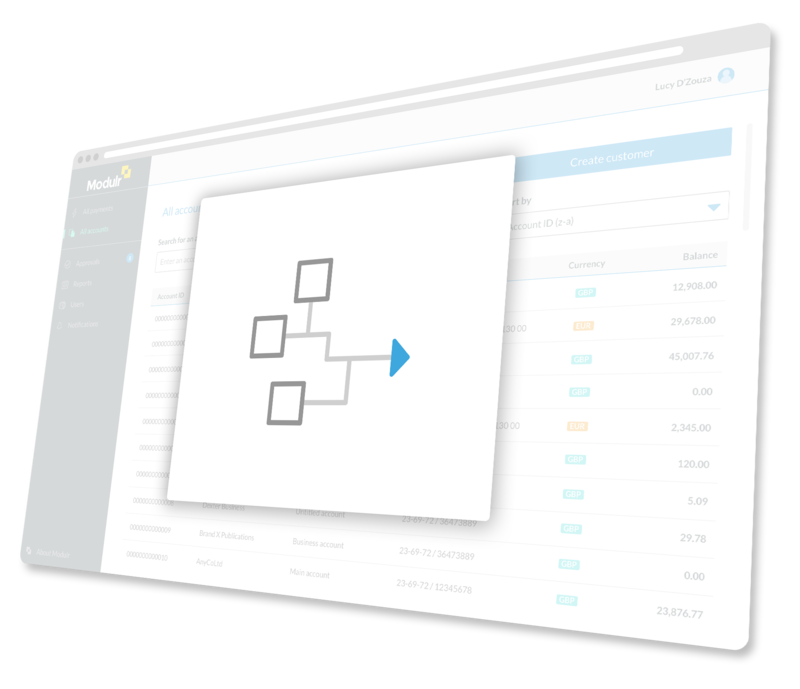 View real-time account information for each of your client's accounts for immediate reporting and improved information for compliance. Easily integrate your existing platform with ours through a single API – no 'down time' required.